There’s something nice about showing your passion with your clothing – whether it’s your favourite musician, or the sports team you support. But what if you’re interested in combat sports like Boxing or Mixed Martial Arts? 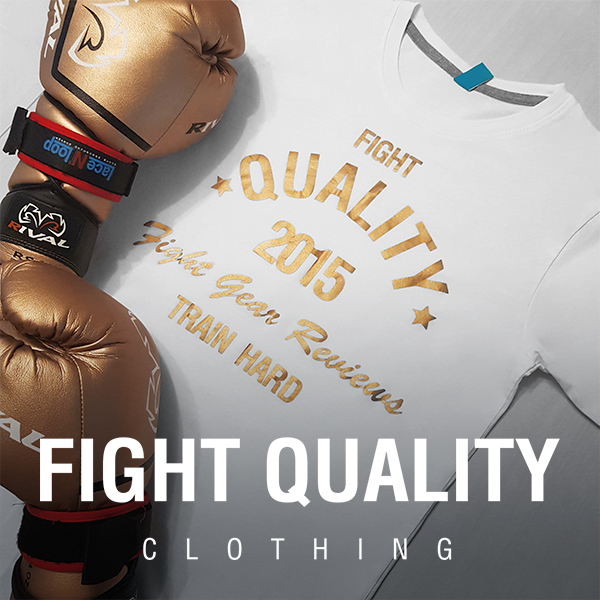 Here at Fight Quality, we review gear used in Boxing, MMA, Muay Thai and Kickboxing – all of which we’re pretty passionate about on some level. That said, everyone has a favourite sport and for both of us writers here, that sport is undoubtedly Muay Thai. Now you’ll understand why we often end up featuring a fair few Thai brands in our fight gear reviews! Muay Thai is the reason Fight Quality was founded back in 2015, as well as being what sparked my personal interest in combat sports in general. Ever since people have been fighting they’ve been throwing around insults to go along with it. Whether they’re chasing down a title fight, selling a fight to rack up pay per views or using it as psychological warfare trash talk has become a major part of a lot of fight shows. Whilst it’s an artform when it’s done correctly, there are only a few fighters who can pull it off properly. For years the best Muay Thai fighters have come out of Thailand and understandably so considering that it’s the national sport and they train from a very young age. The Thai’s can boast insanely skilled fighters such as Dieselnoi, Samart Payakaroon, Baukauw and the living legend Saenchai – but western muay thai can boast its own legends, fighters that rack up highlight reel knockouts and are full of heart, with Muay thai recently having a huge knock on effect to K-1 kickboxing styles as well. While these western fighters may not fight as often as their Thai counterparts, but they’re unafraid to consistently take on top level fighters, and often manage to upset the odds and take home the win.